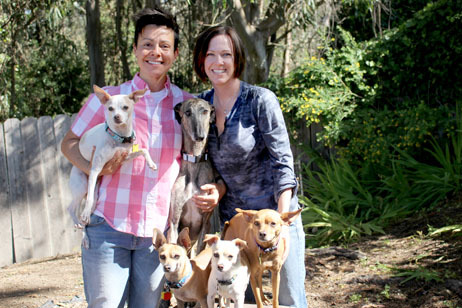 Cynthia Evans and Michelle Sanchez, founders of The Art of Dog, are professional dog walkers, certified in canine behavior, pack management, safety and fight protocols, as well as pet CPR and first aid. Our name was inspired by Michelle’s previous work in the culinary industry, and the artistry that fellow chefs brought to their meals, their books, and their restaurants. Michelle and Cynthia believe that dog walking and training, when done with artistry and passion, can lead to happier dogs, and happier owners, too. Cynthia began to reevaluate her 17-year career in the casino gaming industry while volunteering her time walking dogs at the Santa Barbara County Animal Shelter. 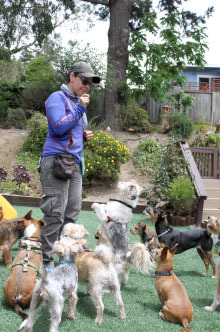 Her love of dogs and the outdoors convinced her to take a risk and open a dog walking business in San Francisco, where owners are equally passionate about their companions’ welfare and training. 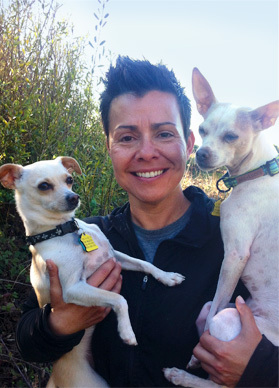 As The Art of Dog’s small dog specialist, Cynthia enjoys sheparding packs of their littlest clients. In her spare time she can be found in the great outdoors, rafting down the American River, or snow boarding on the slopes of Heavenly. 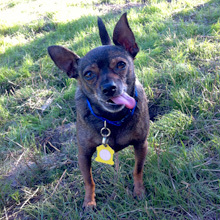 Michelle began learning about canine behavior and training when her own dog, Diego, displayed behavior issues. 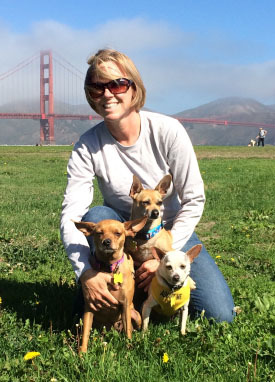 Discovering that many dogs with issues end up in animal shelters, Michelle made it her mission to spread awareness of the benefits of training, consistent exercise, and socialization. When not leading The Art of Dog’s daily adventures, Michelle can be found tinkering with new recipes in the kitchen, hiking the Bay Area’s beautiful trails, or sampling new vintages at California wineries. And of course, Michelle and Cynthia make plenty of time for their own pups, too. As the owners of three small dogs – each with its own big personality – they understand the energy requirements and safety concerns of little canines. A humane method of training, based on the science of operant conditioning, that uses natural rewards like treats, affection, and praise, for quick and effective results. Other forms of training that require punishment, yelling, shock, chain, or prong collars, can result in unexpected side effects, and are not used by The Art of Dog. Positive reinforcement methods have been endorsed by the Association of Pet Dog Trainers, Tufts Veterinary School, the Association for the Prevention of Cruelty to Animals, and countless trainers worldwide. Send us an email or give us a call at (415) 715-8573. 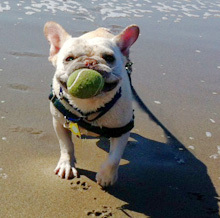 The Art of Dog provides San Francisco small dog walks and small dog daycare to the Bernal Heights, Noe Valley, Glen Park, Diamond Heights, Castro, and Mission neighborhoods.